My brother’s highest praise for a book is that it “impacted his sleep”, meaning it was so good he couldn’t put it down to go to bed. Page Turner Books is my list that fits this criteria. 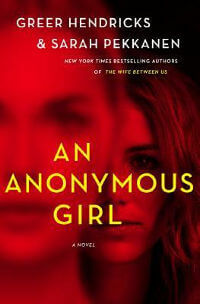 Plot Summary: Jessica Farris signs up for a supposedly anonymous study only to find that Dr. Shields (the psychiatrist conducting the study) seems to be able to get into her head in a much deeper way than she imagined. 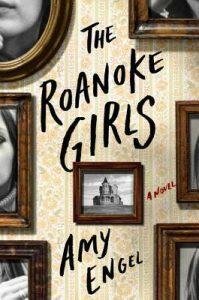 My Thoughts: Psychological thrillers that are heavier on the psychological and lighter on the thriller tend to work for me…and An Anonymous Girl fits this bill. It’s less reliant on action and outlandish plot twists…the suspenseful question is not what will happen, but who can you trust? The beginning of the story sucked me in in a creepy, unsettling way. This book is a giant mindf*ck! Full Review. Summary: On December 23, 1980, a plane crashed in the French Alps killing all its passengers and crew except a baby girl, whose survival sets off a war between two families, one rich and one poor. Plot Summary: After Jenny Kramer is raped in the woods behind a high school party, she is given a controversial drug treatment to erase her memory of the attack. 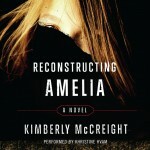 My Thoughts: All Is Not Forgotten (Reese Witherspoon’s production company has already bought the film rights!) is a book I really don’t have much to say about without revealing spoilers. What I can say is that I could not put this book down. I wasn’t sure I actually liked it…and am still not sure to some extent, but I could. not. stop. reading. It’s incredibly twisty, dark, and deeply unsettling. And, I was fascinated by all the psychology/science about how the brain processes memory and trauma. If you’ve read the book, check out my spoiler discussion post. 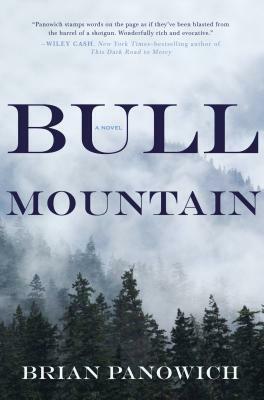 Summary: North Georgia’s Bull Mountain has been run by one family of outlaws (the Burroughs) for generations, but when a federal ATF (Alcohol, Tobacco, and Firearms) agent arrives to put a stop to the crime, Sheriff Clayton Burroughs’ family loyalty is tested. Plot Summary: When Ava Antipova gets word that her wild twin sister (Zelda) is dead, she leaves her Paris graduate program to return to her family’s vineyard in upstate New York…only to find circumstances surrounding her sister’s death that are a bit off and a message from Zelda. Summary: Jacob Barber, the 14 year old son of the local Assistant District Attorney, is accused of murdering a classmate, causing his parents to face family secrets and cracks in their marriage. 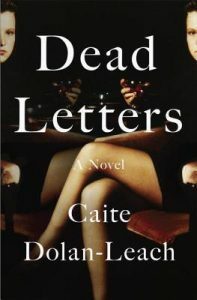 My Thoughts: At first I thought this book was a typical legal thriller – entertaining and suspenseful, but nothing special. However, I was pleasantly proven wrong by some unexpected elements. 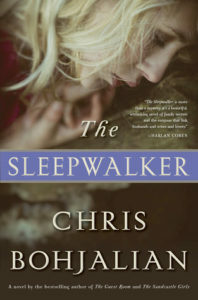 This is a fairly easy read that goes quickly, but there are some psychological twists that definitely make you think. I don’t want to ruin the story for anyone, so all I will say is stick with this one, even if it seems like many other courtroom dramas early on. 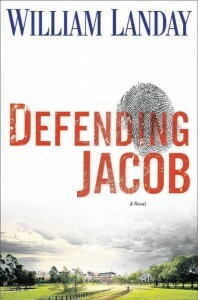 Defending Jacob is not as good as Gone Girl, but definitely worth reading. Plot Summary: While on a holiday cruise through Central America, cousins Liv and Nora’s children (along with two friends) disappear during a shore excursion. 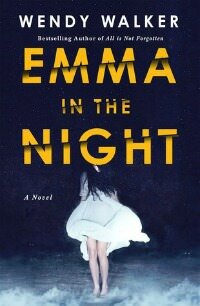 Plot Summary: Three years after teenage sisters Emma and Cass disappeared from their home, Cass returns home without Emma and forensic psychiatrist Dr. Abby Winters returns to help Cass find Emma. Plot Summary: Set in the near future, Junior is selected to participate in a partially government-run endeavor that requires him to leave his wife (Hen) on their isolated farm for a long time…but, the powers that be will make sure Hen is not alone in Junior’s absence. My Thoughts: Part literary fiction, part page turner, part Sci-Fi (and definitely creepy), Foe is a genre mash-ups that dip their toes into Sci-Fi (e.g. 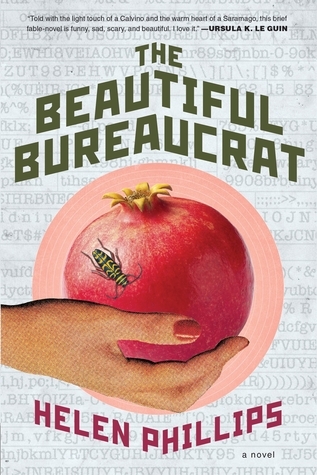 Dark Matter, The Beautiful Bureaucrat). From the moment the book opened (and, really, well into the second half), I had no idea what was going on. It was clear that some omnipresent higher power had control over regular citizens and something wasn’t quite right with Junior’s wife, Hen. Outside of that, Foe had that “WTF is going on” vibe that permeated The Beautiful Bureaucrat. Full Review. My Thoughts: Megan Abbott is one of my go-to authors for intense summer reads…generally about demented high school girls (The Fever and You Will Know Me are my favorites). She’s kept her streak alive with Give Me Your Hand…her most grown-up novel yet. This story is set in the world of science and Abbott’s writing makes the lab, the competition for limited positions on important studies, and the researchers’ dedication seem like the pressure cauldron of an Olympic Trials. Grab this one if you like dark and twisty with some substance! Full Review. Summary: Palace Council is a political thriller about a powerful group plotting to use the US President as a puppet. 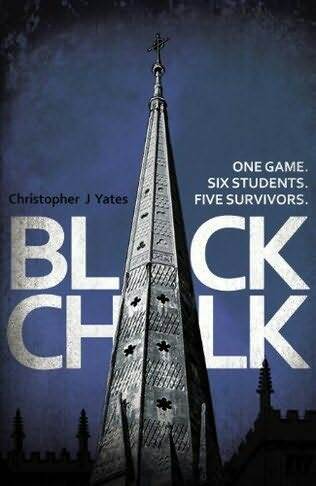 My Thoughts: Carter is known for writing complex thrillers against the backdrop of Harlem elite society and Palace Council is my favorite of his books so far. Carter weaves real people (Nixon, Langston Hughes) into his fiction – causing me to wonder if something like this could actually happen. 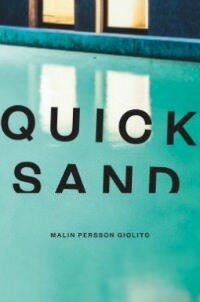 Plot Summary: In a nutshell, Quicksand is the movie Cruel Intentions (elite prep school, lots of money, partying, drugs, neglected high schoolers, and an intense love affair), if Sebastian (PS – Quicksand‘s main character is also named Sebastian…it’s almost too perfect!) had shot up his school and Annette had gone to trial for helping him. Plot Summary: After the studious and athletic Amelia jumps to her death from the roof of her exclusive Brooklyn girls’ school, her mother (Kate) sets out to learn more about the events surrounding her daughter’s death. 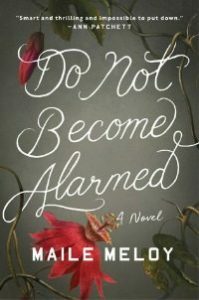 Plot Summary: After a traumatic experience as a broadcast journalist covering the earthquake in Haiti, Rachel becomes a recluse despite her happy marriage…until she begins to question everything about her life and is sucked into something far bigger than she ever imagined. Plot Summary: When a private plane carrying a Swiss banker and his wealthy client goes off the radar, his wife is left to piece together the shady dealings Swiss United Bank was involved in. 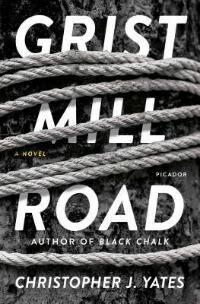 My Thoughts: Despite it’s unfortunately domestic sounding title (really…can publishers try for at least one thriller without “Wife” or “Girl” in the title?!! ), The Banker’s Wife is more of a conspiracy / financial thriller. It’s purely plot driven (so much so that I forgot to highlight passages to share in this post!) and will keep you turning the pages. Plus, there are characters who resemble real life people enough to make you wonder! Full Review. Summary: A spy thriller about a secret KGB operation (The Charm School) in the era of Glasnost and the implications for US/Russian relations of revealing it to the world. My Thoughts: DeMille is my favorite “page turner” author and The Charm School is one of my favorite DeMille books. You’ll love the characters’ witty banter, the portrait of Russian life, and the thrill of the investigation into The Charm School. Best of all, this is one of those “what if” books that left me wondering if something like the Charm School could really exist. 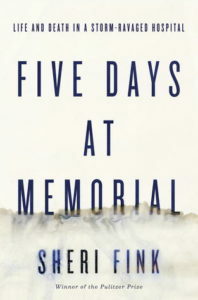 Summary: Following the death of his father (a Justice whose Supreme Court nomination ended in scandal), Talcott Garland tries to unravel the mystery behind “the arrangements”, a series of clues his father left him. 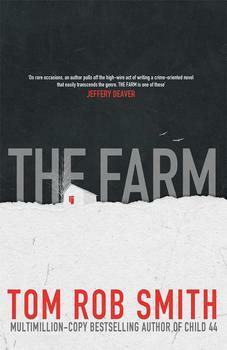 Plot Summary: After “retiring” to a remote farm in Sweden, Daniel’s father tells him his mother is suffering a psychotic breakdown, forcing Daniel to unravel the validity of his mother’s claims of a conspiracy involving pillars of the farm community and, possibly, his own father. Summary: A mafia don invades the remnants of Long Island’s aristocratic Gold Coast society and turns his neighbors’ lives upside down. My Thoughts: A review describing The Gold Coast as The Bonfire of the Vanities crossed with The Godfather convinced me to give it a try. John Sutter’s (the narrator) super salty observations of crumbling Gold Coast society are hilarious and do remind me of Tom Wolfe. 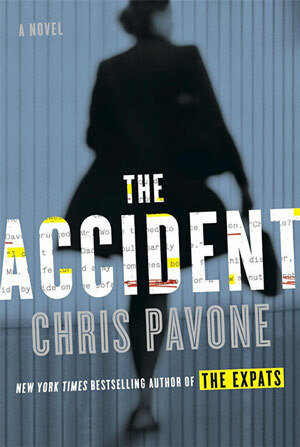 Summary: John Corey, ex-NYPD homicide cop and the central character from Plum Island, teams with Kate Mayfield to track a Libyan terrorist (Asad Khalil aka The Lion, whose family was killed in the 1986 Qaddafi bombings) as he seeks revenge on the Libyan bombers. My Thoughts: The Lion’s Game is obviously suspenseful and fast-paced, but John Corey’s constant saltiness is what adds a different kind of entertainment to what could have been a run-of-the-mill thriller. The romantic tension between John and Kate is somewhat predictable, but does provide the context for most of the witty dialogue in the book. Summary: Rule recounts her experience working alongside serial killer Ted Bundy at a suicide crisis hotline and her slow realization that he was not who he appeared to be. My Thoughts: If you’re at all interested in Ted Bundy, then this is a must read. SBM covers the facts of Bundy’s crimes, the investigation, and his capture. But, Rule’s personal perspective from her time working with him and their correspondence while he was in prison are the real fascinating parts. This one will definitely keep you up at night. 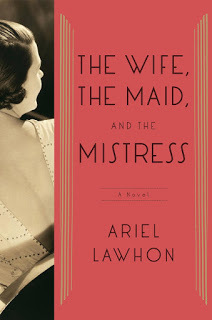 Plot Summary: Based on the actual 1930 disappearance of New York State Supreme Court Justice Joseph Crater, this novel tells the story of what could have happened to him from the perspectives of his wife, his mistress, and his maid. 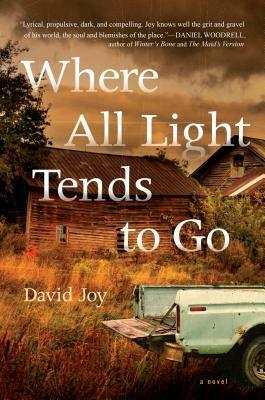 Plot Summary: After the McCloud children lose everything in a Category 5 tornado in their hometown of Mercy, Oklahoma (thus attracting considerable media attention), their brother (Tucker) runs away leaving the three McCloud sisters to fend for themselves. He returns three years later amid further tragedy and thrusts the family into the spotlight yet again. My Thoughts: The publisher described The Wildlands as a literary thriller…and while I don’t think that’s quite accurate, it is a fast-paced story about children that have lost literally everything trying to find their way again. This story touches themes far and wide…humans’ place in the ecosystem, environmental terrorism, children surviving on their own, the media spotlight, Patti Hearst-esque Stockholm syndrome, and complicated sibling relationships. Full Review. Summary: Retired Army Officer Paul Brenner (the hero from The General’s Daughter) returns to Vietnam to find the one witness to a murder that occurred during the Tet Offensive. My Thoughts: Up Country contains the suspense and the salty, sarcastic dialogue of a DeMille thriller. But, the setting in Vietnam and Brenner’s flashbacks/memories of the war added an educational element for me that differentiated Up Country from his other books. Hi Sarah. I am at the beach with your mom and having a grand time. Almoost finished 50 Shades of Grey and lookiing forward to the second one. I am thrilled to find your website. And I love many of what you loved. The DeMille novels, and Double Bind. I am going to forward you to both of my book clubs. Love to find people who like to read and share. I just finished two VERY good books. Read A Land More Kind Than Home by Willey Cash and The Expats,cannot remember the author. Loved the bothh. Also read The Bond Girl, cannot remember that author either but really enjoyed it, not great, but interesting and good read. We will stay in touch. Love this. I’m a 9 year old girl and love to read and write. I’ve read a few adult books, including all three Hunger Games books. I agree with your review. I didn’t like Mockingjay that much, especially compared to the first two books. After seeing your blog, I’m thinking of starting my own. 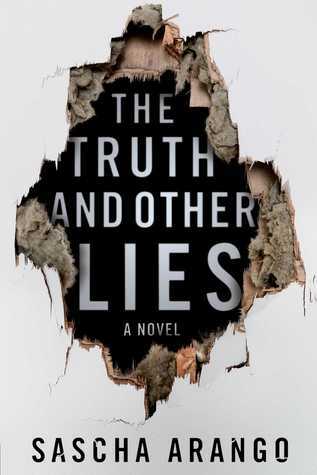 These books sound great, especially “The truth and other lies” but all the interesting ones are so expensive. 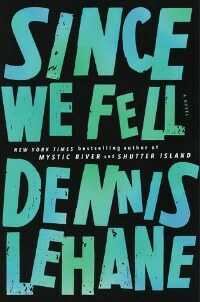 I am a new reader and have been reading free pdfs available online. I really want to buy a hard copy this time (gives you the feels). Maybe someone can suggest me a rather older published book which won’t cost too much. I really enjoy any sort of page turner thriller.